Christmas day is fast approaching, and stores are all clamored up for last minute buyers. If you still don't have the nice gift for someone you know that is a MMA fan, then Fighting Insider has some ideas for you. Ten days to go and it’s Christmas time! 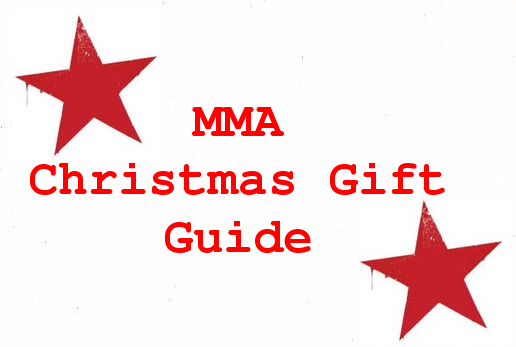 And a true MMA enthusiast would definitely love to receive a gift related to the sports this Christmas. However, choosing what’s the best holiday present to give can be a cumbersome task for someone who is not a fan. That is why here at Fighting Insider, we want to ensure that Santa Claus will not have the hard time picking the perfect MMA gift this season. 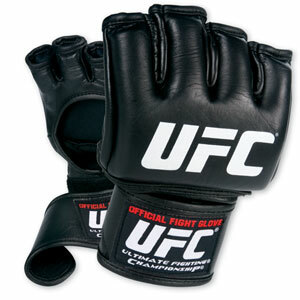 Though not all MMA fans actually fight, the official UFC gloves is something cool to have. Be it just for decor at the bar or gym, or whether it’ll be used to punch someone’s face, it doesn’t matter. It’ll be nice to have an official UFC gloves to try on, whether your friend will step in the Octagon or just imagining things. Sure, Fighting Insider is a great place to visit online for MMA news. But what about when your friend wants to read whenever he’s on the toilet? For sure he can’t bring his desktop. or laptop, or smartphone, or tablet inside the comfort room. That’s why a magazine subscription from TapouT can also be a great gift. For only $54.99, a MMA fan can be one of those many fighters backed by Bad Boy. 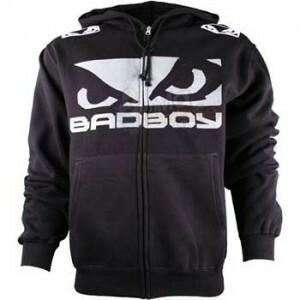 Others might assume that he is a pro with this hoodie, knowing that notable fighters like Shogun Rua, Roger Huerta, Diego Sanchez, and Demian Maia also have this one. Ladies also have the right to be a MMA fan. And if they are into working out, or just love hanging around the house, the Prowl Fight Shorts is an ideal gift. With its outstanding colors, it’s no wonder that the Prowl Fight Shorts are a top-seller among women for only $53.99. 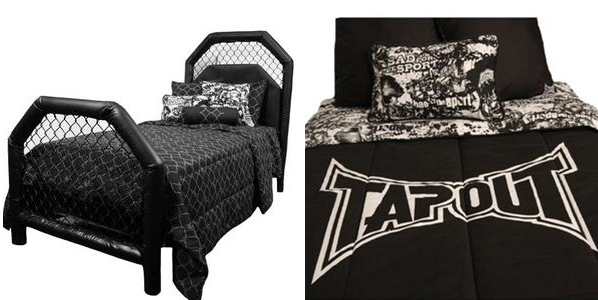 Got a kid who’s already in for a ground game, the TapouT bed can be a great gift for him. Although a very hefty Christmas present, wouldn’t it be nice to see your kids practicing their ground game happily in a new cage-like TapouT bed? 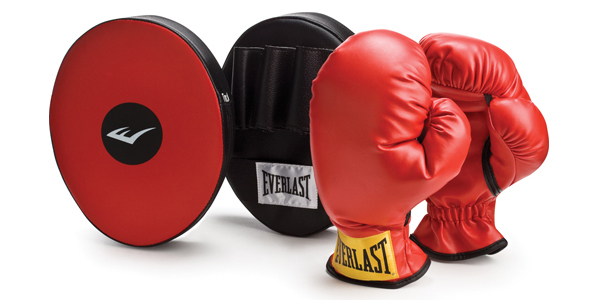 Including a pair of punch mitts and youth boxing gloves, your young striker will be in for a rigorous training this Christmas vacation with Everlast’s Family Training Set. Let your child go virtually toe to toe with every kid on your block, or get himself busy during the rainy days with the Nintendo Wii Boxing Gloves. It’s the best way to train and entertain your kids while in front of the TV. Ranging from $128.99 – $205, you and your friends can have a Jiu Jitsu Gis that functions well, does not fall apart, and does not shrink a couple of sizes in the wash. 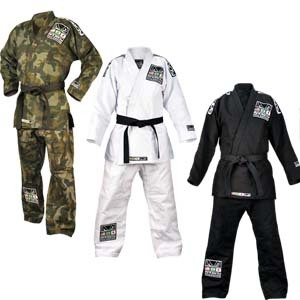 This is best for MMA fans and family members who are really into Brazilian Jiu Jitsu. 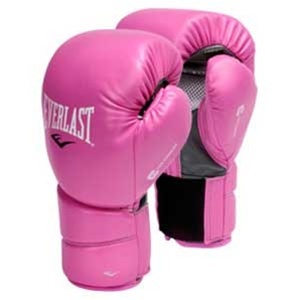 For only $29.99, your friend will have a boxing glove that is made of durable and long-lasting synthetic leather. 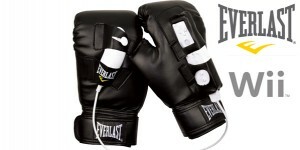 The Protex2 Training Gloves features a superior duel support panel for wrist protection and comfort. 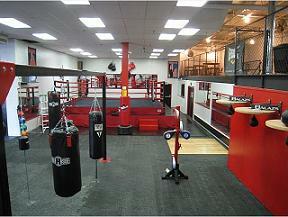 A MMA Gym membership is definitely the hottest Christmas gift your friend will ever receive. With the popularity of Mixed Martial Arts already exploding, every young guy will definitely want to join a MMA gym near your community. And if you can swing for a discount, you might get a lower membership fee for the both of you.